Experiencing eyelids that are itchy is a sign of an allergic reaction on the eyelids, an unpleasant and inconvenient experience. Since your eyelids are so close to your eyes, you will likely want to take care of this problem as quickly as possible. This can be accomplished easily, since the condition is quite common and well understood. This guide will tell you all about the causes, symptoms, and treatments that you must know in order to cure yourself of this problem. You will be well on your way to having eyelids that always feel and look their best. 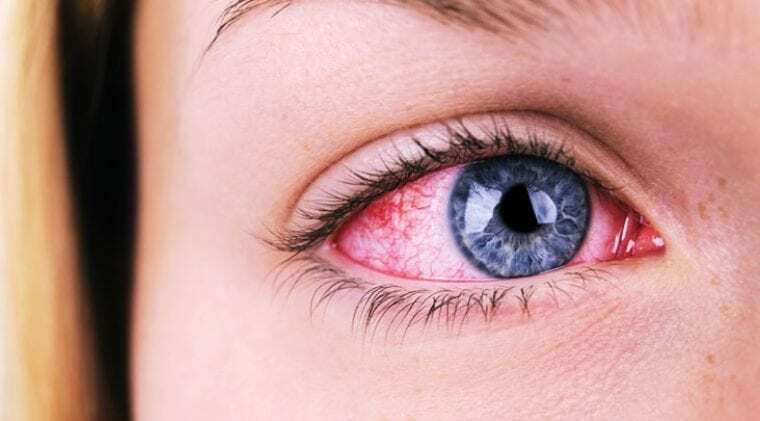 What is an allergic reaction on the eyelids? An allergic reaction on the eyelids may also be known as eyelid dermatitis. Dermatitis is another word for eczema, but it also just means that you have inflammation on your skin. 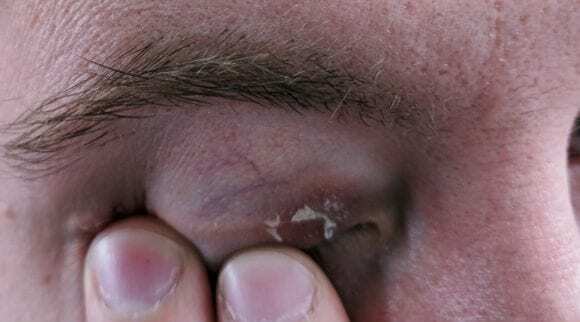 When this happens on the eyelids, it looks a lot like a reaction on any other part of your body. If you have ever had or seen someone with an allergic reaction on their skin, this is what your eyelids may look like as well. It often causes bumps or redness, and the whole area will be itchy. This might drive you crazy and keep you up at night. There are a few different types of dermatitis. Here is a look at the most common two. These are the most likely to cause allergic reactions that will show up on the eyelid. This type of dermatitis happens when something touches your eyelid and irritates it. This can be anything from makeup to soap, and anything in between. This type is sometimes grouped with allergic dermatitis. It refers to dermatitis that causes a reaction from an environmental stimulus. It is commonly experienced when someone has hay fever or asthma and can be brought on by coming into contact with dust, mold, or pollen. Itchiness. 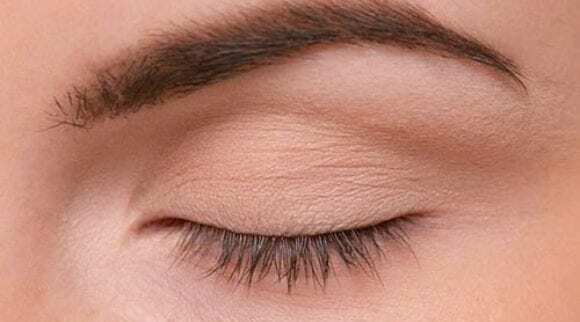 If you find that your eyelids and the areas around them are very itchy, this can be a big sign that you may have dermatitis. Redness. This skin around your eyes or your eyes themselves may become very red and look rather irritated. This could cause your eyes to water and make it hard to go about your day. Rash. A rash on your eyelids can be scary if you wake up and see it first thing in the morning. You may see red bumps or look swollen. Pain. Experiencing pain near your eyes may also be a clue that you are having an allergic reaction. You might also experience a burning sensation. If you are wondering what may be the cause of this condition, there are many things that could be the source of your discomfort. 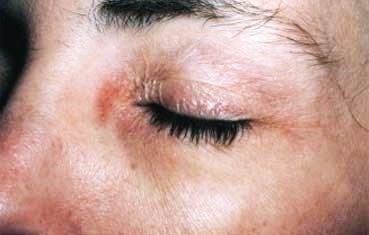 There are various things in the environment that may cause you to have this type of allergic reaction on your eyelids. This can be any type of particle you are around, such as building materials at your job, perfume, cleaning chemicals, or animal dander. There are other things that you are exposed to every day that may contribute too, like various types of metals, specific ingredients in household items, and even fibers in furniture. Like other types of allergic reactions, food can trigger eye troubles as well. If you suspect that a food item is the problem, you may have to limit the types of foods you eat. The best way to do this is to not stray away from the things you eat the most. Sometimes foods that have a high amount of sodium or iodine may make you puffy and itchy. This is especially true if you already have a food allergy or suspect that you do. Another aspect may be that you are not keeping your eyes or eyelids clean enough. If you leave your eye makeup on at night or don’t wash your face before bed, this may cause you problems. Furthermore, if you rub your eyes often without washing your hands first, this can be just as big of a setback. If someone in your family has any type of skin problem that is similar, there is a good chance that you may have it too. Skin issues are sometimes genetically passed down through your parents and grandparents. Prescription pills or creams may cause an allergic reaction on the eyelids, as well as an illness that you already suffer from. It is important to do research into disorders you know you have been diagnosed with to see if their treatments can cause adverse affects like this. Another thing you should be aware of is that there are treatment options out there. One practical solution is over the counter creams or ointments. These are generally applied to the skin to soothe irritation and redness. They are made of natural ingredients or things that are unlikely to react to your skin. You can also use special wipes or sprays to clean the eyelids. These cleansers can be used on the go and are convenient to carry around anywhere. On the other hand, if you have already visited your doctor about this type of problem, they may have prescribed you different types of steroids. This is normally in the form of topical ointments or creams as well. There are also other passed-down remedies that people use to keep their irritation and swelling at bay. Some examples are cooling face masks, aloe vera gel, and cool cloths. 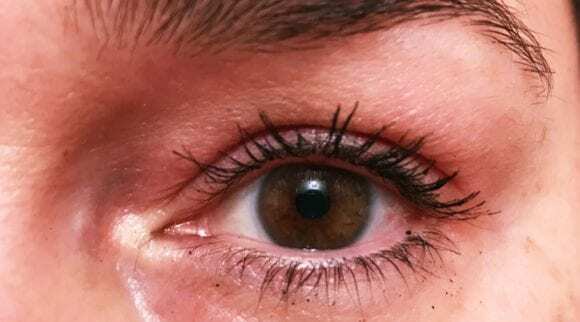 Whether you have ever suffered from an allergic reaction on your eyelids or not, there are a few things you can do to ensure that it stays away. These things are the first step, but if you still aren’t getting the relief you need, it is best to see your doctor. He or she will be able to tell you exactly what is causing you to have an allergic reaction. They can also inform you on what your next step should be. Try not to rub eyes. It is never a good idea for anyone to rub his or her eyes, although we know that we are all guilty of this. At the same time, if you have sensitivity to anything in your environment, it is likely on your hands too. When putting your hands near your eyelids, this can become a bigger problem. Rubbing eyes can also cause allergens to spread further onto your skin, making this a double faux pas. Keep your eyelids clean. You should also do your best to keep your eyelids as clean as possible. This includes cleaning them when you wake up and when you are going to bed. It means you may need a special product to disinfect them during the day, especially if you work outside or it is allergy season. You might want to wear goggles or sunglasses when you can to protect your eyes even more. 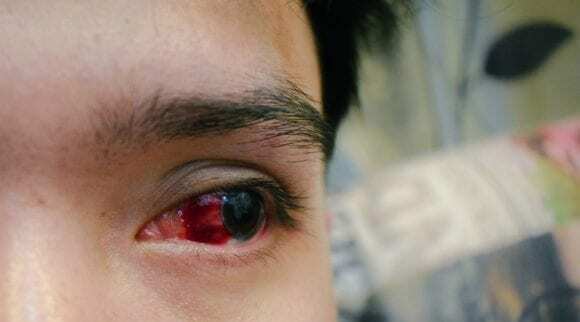 If you wear contacts, don’t put them in when you are experiencing problems, since it may be the contacts or the solution that is making your eyelids sensitive. Glasses can protect more of your eye area and are less likely to cause redness and itching. Moisturize your skin. Keeping your skin moisturized is a big deal, especially on skin as thin as your eyelid. It is likely to get dry frequently. Be sure that you are using moisturizing products that are safe for sensitive and delicate skin. Stay away from preservatives and other harsh chemicals in these items for best results. You must also be sure that you are applying moisturizer after you take a bath or shower, since washing yourself can upset the skin’s balance. Drink enough water. The skin is the largest organ on your body, so you need to make sure that you are keeping it hydrated as effectively as you can. While this will not solve all your problems, it can’t hurt, and it is beneficial for the rest of your body as well. If water gets too boring, you can also hydrate with herbal teas and fruit-infused water. Be careful with makeup. As you can probably imagine, putting makeup on when you are having an allergic reaction is next to impossible. It is also a really bad idea. You should limit the makeup you put on your face daily if your skin is prone to dermatitis. There are types of makeup out there that are hypoallergenic, but again, it is quite important to stay away from it or use very little at all. Keep a diary. When you suffer from flare ups, it is a good idea to write down when they occur and what is happening. This is the best way to narrow down what the variables that are negatively affecting you are. It may not be possible to specifically determine exactly what the culprit is, but it can allow you to limit harmful things. It also helps to keep a record to see if there is a pattern, and so you can show your physician if you need to. Start using the most natural products you can. While you are trying to figure out what products or circumstances may be causing you problems, it’s a good idea to switch to the most natural items that you can. Consider changing up the soaps you use all the time, the lotions, and even your perfume, as well as the cleaning supplies in your house. There are a lot of strong chemicals and ingredients in some of the things you use daily in your life, and you may not even think about them. Here are some top-rated products that you can try for yourself to see if they are able to lend a hand. This product is a face cream that you can use as a moisturizer or for a number of other reasons. Its main ingredients are olive oil, beeswax, and honey. These things let you know that it is a product that will be advantageous to use and will be as natural as possible. Has no chemicals. There are no chemicals in this item. It is made of natural stuff and not things like phthalates or fillers of any kind. These things can make you break out even worse or bother certain types of skin. Moreover, they do not offer a lot in terms of benefits like natural moisturizers and essential oils do. Contains no fragrance. You won’t have to worry about any fragrance when you open this jar. This is good for those that are sensitive to odors and don’t like to be around them. It does have a slight scent because of the ingredients but is still not overpowering. Good for multiple areas. 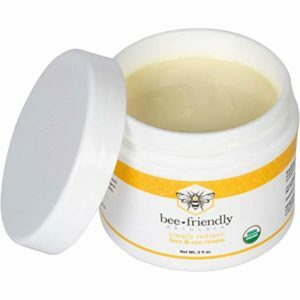 The organic honey that is included is a moisturizer that is made by nature which also doubles as an antibiotic. This means you can use the cream all over your face and neck, since it will keep it looking good on some of the most delicate skin you have. Absorbs quickly. The product absorbs into the skin quickly. It won’t leave you looking or feeling greasy all day. It is best to apply it to wet skin, since the formula is so thick. All natural creams can be good for many reasons and are easy to use. You can fit this one into your routine very simply, and it can make your skin feel fresh and bump free. 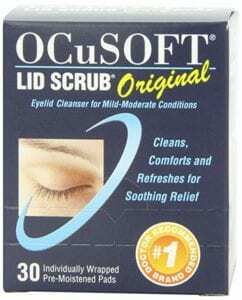 It is gentle enough to put right by your eyelids without having any additional problems come up. It is also made with high-quality organic ingredients, never a bad thing. If you need something to take with you wherever you go, this may be more up your alley. This option is an eyelid cleaner in the form of a disposable wipe. They are a bit like alcohol wipes, if you have ever used those, but made to be gentler. The wipes can be used any time, day or night, and you just throw away the excess when you’re done. Removes substances from eyelid. When you feel like your eyes are itchy and dry throughout the day, it is the perfect time to use one of these. The main purpose of them is to get the debris off your eyelid, since that may be what is causing your eye discomfort. Has no alcohol. The wipes contain no alcohol which can dry out skin. They also don’t have any fragrance or dyes. They are designed not to cause any other problems and have been clinically tested for this. Handy to carry around. You won’t have to carry around a large bottle of cream or a jar of salve. Each wipe is individually packaged, so you have the ability to keep a few in your desk at work or in your purse for when you are away. The wipes are large enough to get more than one use; if you want to, cut them up into smaller pieces. Removes makeup. You can also use them to take off your makeup from that area, so your eyelid will be as clean as possible. It is easy to simply wipe off your face after a long night when you are too tired to take a shower. 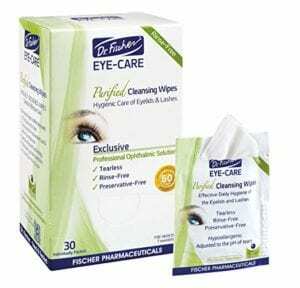 With these wipes, you can keep your eyelids clean at all times, even when you are not at your house. They won’t leave you feeling dried out or chafed either. They are gentle and can be used multiple times a day if you choose to. Clear C wipes are also a type of wipes designed to keep your eyes clear of any dust or oil. They do not contain preservatives and won’t sting you or cause any discomfort. These are able to help your eyes whether they are feeling great or you have a condition like eczema or conjunctivitis. Gentle enough for everyday use. You can use them every single day if you need to. 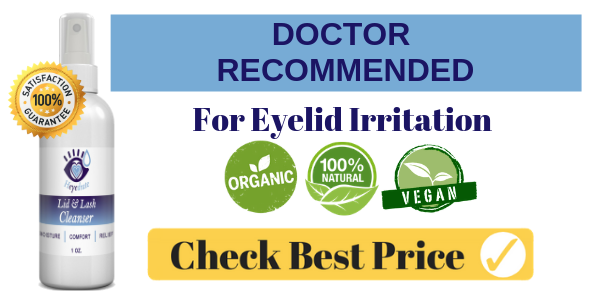 They may be utilized to clean your eyes when you get up or throughout your day if you encounter some type of material that make you itchy or watery. Can be used on all types of skin. It makes no difference what type of skin you have, since the wipes are gentle enough to use on all skin types. 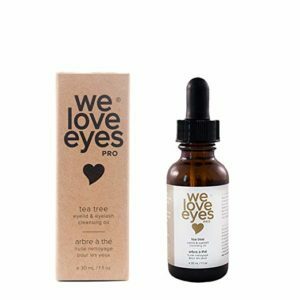 They are formulated to keep your eye area safe from germs and other things which can cause infections. Offers instant relief. If you need something that provides instant relief, this item does. All you have to do is use it, and you should be able to tell the difference. Will not have to rinse face after using. You won’t have to rinse off your face after you use this type of wipe. In some cases, other products are too strong and leave a residue on your face. This one does not and is mild. There are multiple types of wipes available, but not all of them can be used on every type of skin out there. Whether you have dry skin or combination, you won’t get dried out or encounter breakouts when you use this product. These are just the right size, a little smaller than other brands, so you will not feel you are wasting when you use one. 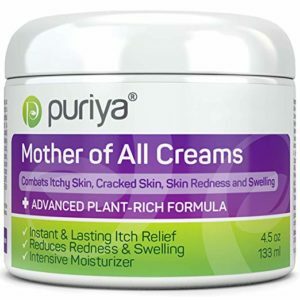 When you call yourself the mother of all creams, you must be powerful enough to solve many different problems. This item can do that, since it is safe to use over pretty much the entire length of your body. There are strong natural ingredients contained in it, so there aren’t a lot of chemicals present. Has a 180-day money back guarantee. There is a guarantee on this product for up to six months. If for some reason you don’t like it or it does not do what you need it to, you can contact the company directly for a refund. Can be used for a variety of conditions. You can find relief for a number of different issues. It helps alleviate dry skin, rashes, burns, bites, rosacea, and cuts, in addition to helping with dermatitis. This means that the jar will be able to aid you with many of your skin problems at the same time. Contains powerful moisturizer. It contains a powerful moisturizing blend that keeps your skin hydrated. You won’t have to use a separate lotion on the areas that you rub this on. On the other hand, it also has some powerful natural ingredients, so you should make sure you are not allergic to them before using. Won’t clog your pores. Since the cream is made from gentle things, it will not clog your pores. The first ingredients include things like aloe vera, and shea butter, which can be absorbed directly into your skin. Puriya provides a cream that has many botanical ingredients to help calm your skin and keep it from looking red and feeling itchy. They also have a formula that is gentler than this one if you do happen to be allergic to plants in the chamomile family or have an aversion to essential oils. For those who don’t want to use a product on your face, you may choose to use something like this product. 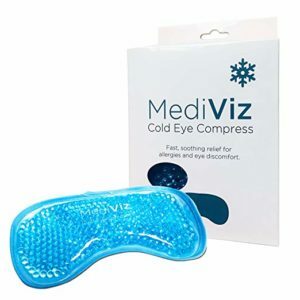 It is a cooling eye mask that you place in the freezer to get cold and then take out when you want to use it. Alleviates puffiness and dark circles. One thing it is able to do that some others cannot is take care of puffiness and dark circles. This is something that occasionally goes along with allergic reactions around the eyes, and this mask can keep you from having those problems affect your life. Easy to clean and reuse. You can clean it with soap and water and reuse it as much as you want. It makes it a breeze to keep clean and can provide you with so many uses. It also means anyone and everyone in your house can use it when they need to. Can lessen pain. The mask is also able to lessen certain types of pain. If you already put ice packs or cool rags on your face when you have a headache, you may do that with this mask as well. It can even cool off your eyes when they are feeling bad due to allergies. Doesn’t involve rubbing something in your eye area. It involves no wipes or cream but may still provide relief. You can use it as often as you like too, granted you remember to keep it cool. Owning a mask like this is not only good for your eye allergies, but it can also come in handy when you have a headache or your sinuses are really bothering you. It is able to be used many times without breaking down and since you can keep it clean, it is unlikely to cause you any harm. What it doesn’t have is a moisturizer, which is something many other options out there can give you. There are absolutely no toxic chemicals in this oil. It is made up of just three ingredients, including tea tree oil, a natural anti-inflammatory that can be of assistance with swelling and other things. It was made to help you take off makeup as well. All you need to do is put a few drops on a cotton ball and wipe your eyelid. It will leave it clean and protected for a while. Vegan-friendly formula. Since there are so few ingredients and they are all natural, it is vegan friendly. There are also no artificial preservatives to worry about. Keep the bottle in a safe place, so it will not start to react, since there is a small risk of that when it comes to natural products. Only takes a little. You only have to use a few drops to notice a difference. Like many essential oil blends, it is really powerful. Using more than the recommended amount won’t really help you, so be sure to read the directions and follow them. The bottle contains 600 drops, which amounts to many uses. Developed by an optometrist. An optometrist formulated this product as well as the others in this line. 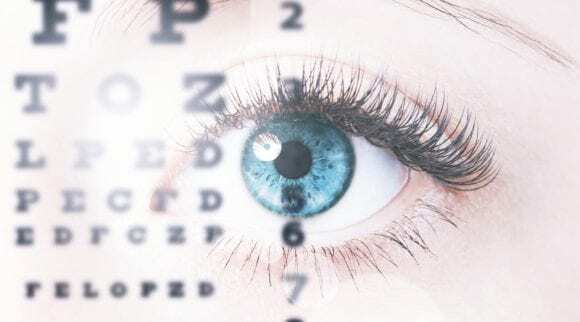 This type of doctor specializes in eyes and vision, what this item is specialized to help you with. No sulfates or parabens. There are no weird ingredients in this bottle. This includes sulfates and parabens, which are known to cause reactions and are considered to be unsafe by some. The oil is also cruelty and gluten free. If you are looking for the simplest product to use, this is it. You have to have cotton balls or pads to be able to use it, but since it contains so few ingredients, it is the closest thing you are going to get to a homemade formula. You also receive a lot in a small bottle, but you’ll have to keep the bottle safe. At the same time, it can help you with your eyes and clean your eyelids just as well as other products. This is another type of wipe that you can use anywhere and everywhere. They can be used by just about anyone and won’t cause additional problems. You can count on them to help you with a number of different issues, including styes and mucus. Each wipe has the same pH as your natural tears, so they are unlikely to cause any type of imbalance. May be used by all ages. These wipes are able to be used by people of all ages. It doesn’t matter if your skin is old or new, they are simple enough to be able to help alleviate problems for you. Product has no preservatives. You will not find any preservatives in the list when you look at the ingredients. There are also no fillers and no alcohol. This is so you don’t get dried out, and you can be sure that there will be no new irritants added to your face. Can help with eye strain. They can also help with eye strain. When your eyes are tired and dry, you may not think that cleaning your eyelid will change anything, but it actually will. 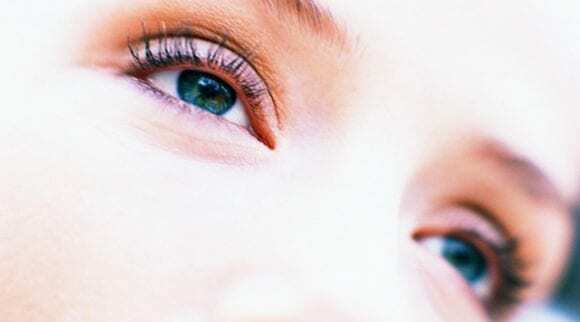 Eyelids are a part of the eye that are often forgotten about but are vitally important to your wellbeing. Help with healing. Using these to clean your eyes will keep bacteria away, allowing you to start healing at once. This is true if you have an ongoing problem or if you are suffering from something that is not too serious but is causing disruptions in your life. It’s a good idea to keep these handy, since you can take advantage of them day or night. You can even give them to anyone in your house, whether they are children or elderly. While they aren’t 100 percent natural, they do have mild and safe ingredients. They are also able to help alleviate so many different problems and keep your eyes as clean as possible. An allergic reaction on the eyelids is not as uncommon as you may believe. It can be experienced by pretty much anyone and for a multitude of reasons. Whether you have an existing condition like allergies or eczema, or you simply get exposed to something and your eyes start to itch, it can happen to anyone. There is no reason to be concerned, unless the reaction lasts for an extended period of time or keeps getting worse. If that is the case, the best thing to do is go to your doctor to get the top treatment. Otherwise, there are multiple types of remedies to try in order to keep your eyes clean. You can purchase different types of cleansing wipes, creams, and even cooling masks to keep you symptom free. Not every product will work perfect for all, so you might have to buy more than one before you find something that works perfectly for your eyes and your skin. 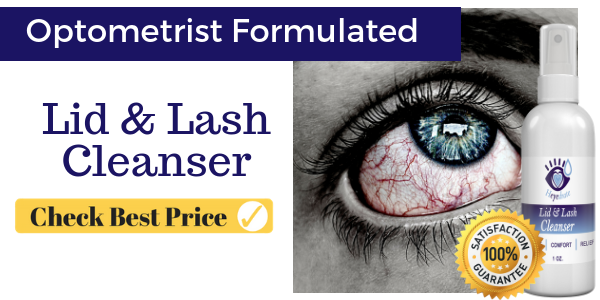 Each product in this list is proven to work on allergic reaction on the eyelids, but a few stand out. There are multiple types of items that are excellent for different reasons, and it all comes down to what works best for you. Try a few of them and let us know which one works best for you!